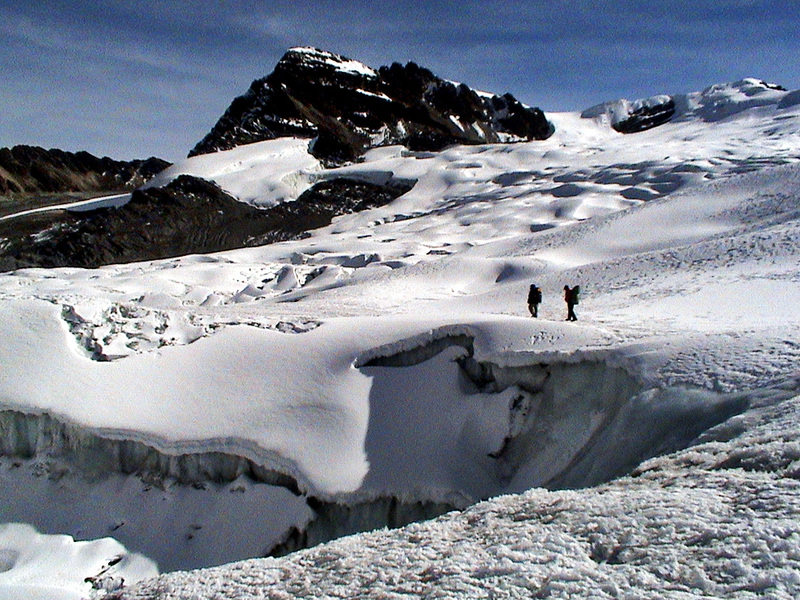 "The remotest glacial wilderness in Bolivia; the realm of vicuñas, condors and spectacled bears"
To the extreme north of the Bolivian High Andes lies the Cordillera Apolobamba. This remote glacial wilderness offers a challenging trek through the wildest part of the Bolivian Andes. 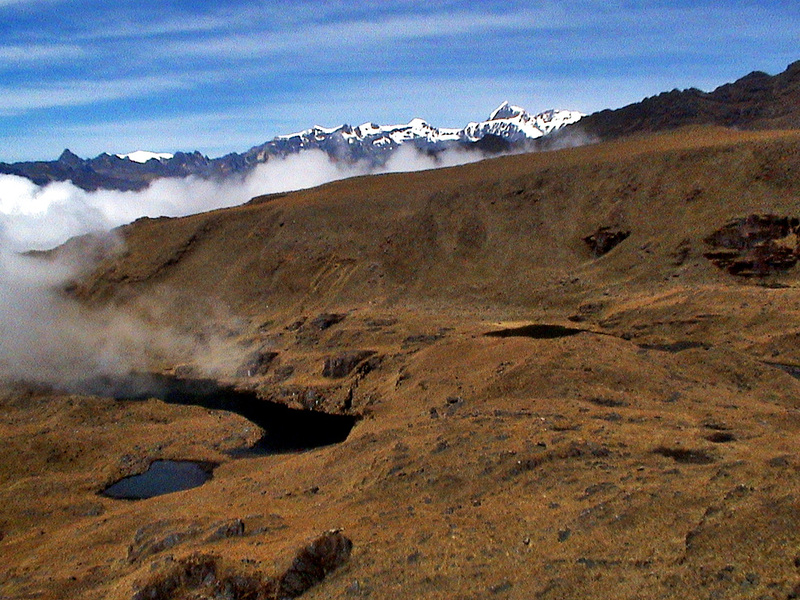 This trek provides tremendous opportunities to see some of the rarest Andean wildlife including vicuñas (a wild Andean camelid) on the Ulla Ulla plateau, spectacled bears in the southeastern Pelechuco and many condors as they soar over the verdant glacial valleys. 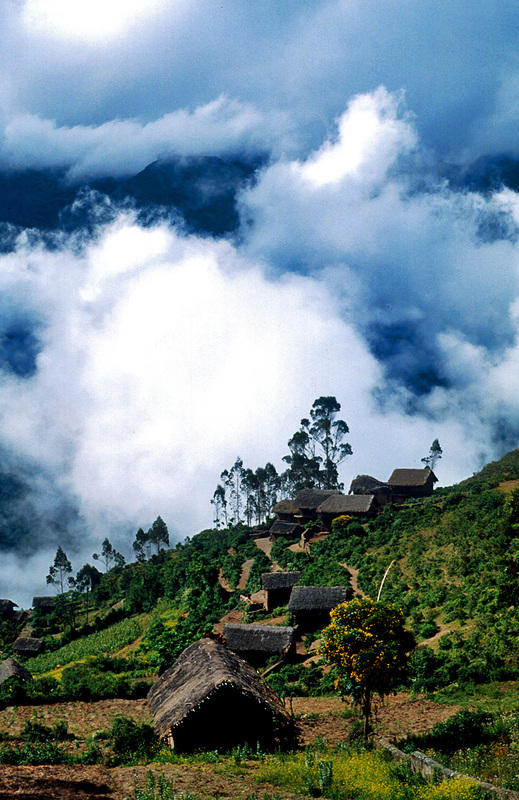 In the subtropics beneath the sharp glaciated peaks we will see a rich birdlife and endemic flora . 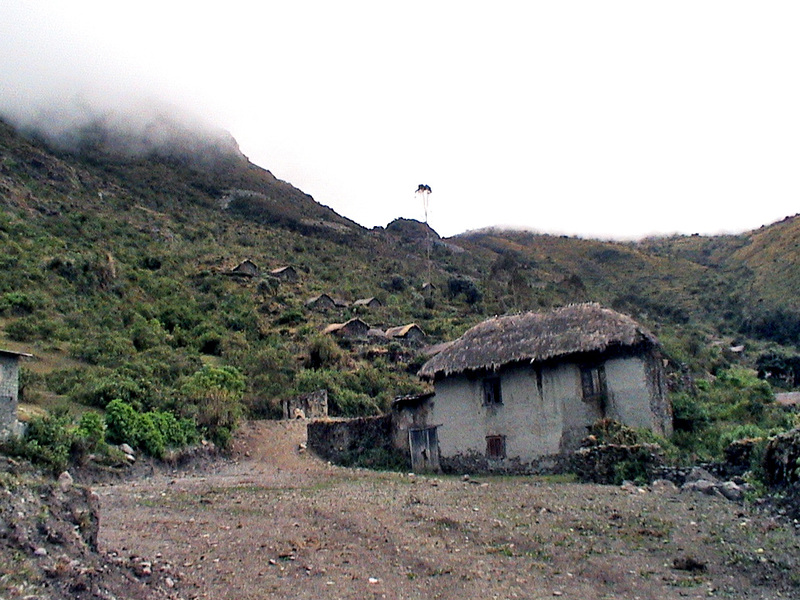 It is also the home of the Callawayas and Mollos people. Before setting off on the trek we will acclimatize by the Lake Titikaka. It is an unbeatable trekking adventure through wild nature. DAY 3: DRIVE TO COPACABANA CITY & LAKE TITIKAKA. A series of cultural highlights to visit en route. Superb views of Cordillera Real. By boat we will reach Sun Island to find unique traditions and folklore. Lodge. DAY 5: DISCOVER COPACABANA. Walk through indigenous markets, streets and viewpoints. 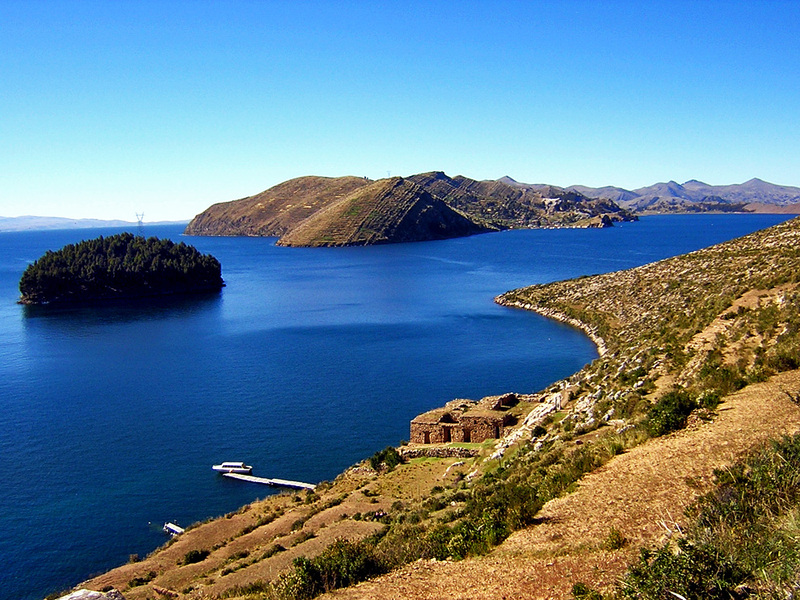 Visit the replica of the Urus artificial islands, and the church of Copacabana. Hotel. DAY 6: DRIVE TO SUCHES. Transfer by car and camp. DAY 7: EXPLORATION IN CHUCUYO LAKE. Hike and return to camp. DAY 8: TRAVERSE OF PASO INGLES. Traverse of easy glacial corridor. Camp. 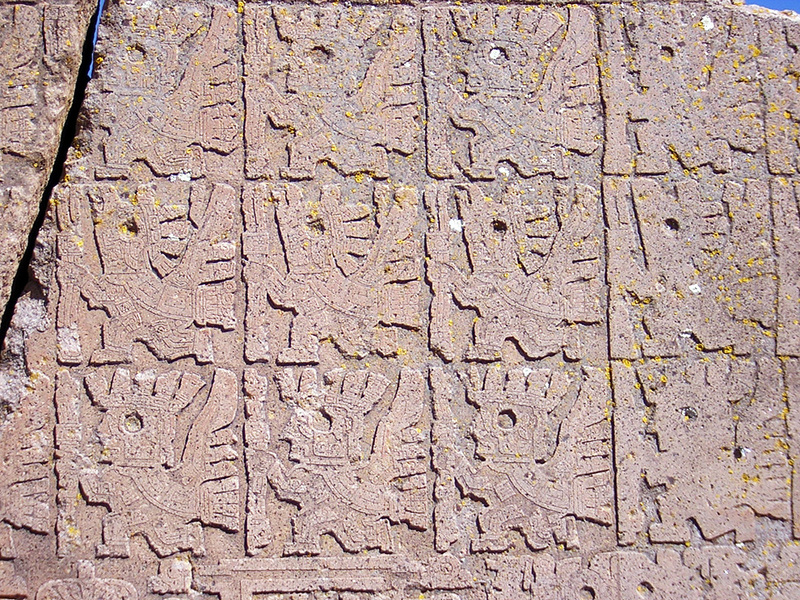 DAY 9: TO YAMACA. Trek and camp. DAY 10: TO KEARA. Trek and camp. DAY 11: TO IMPILLANI. Trek and camp. 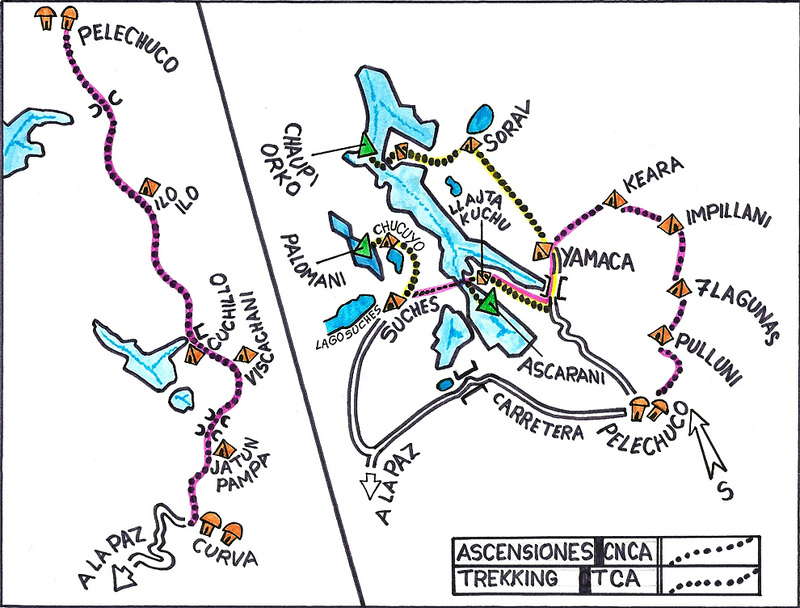 DAY 12: TO SIETE LAGUNAS. Trek and camp. DAY 13: TO PULLUNI. Trek and camp. 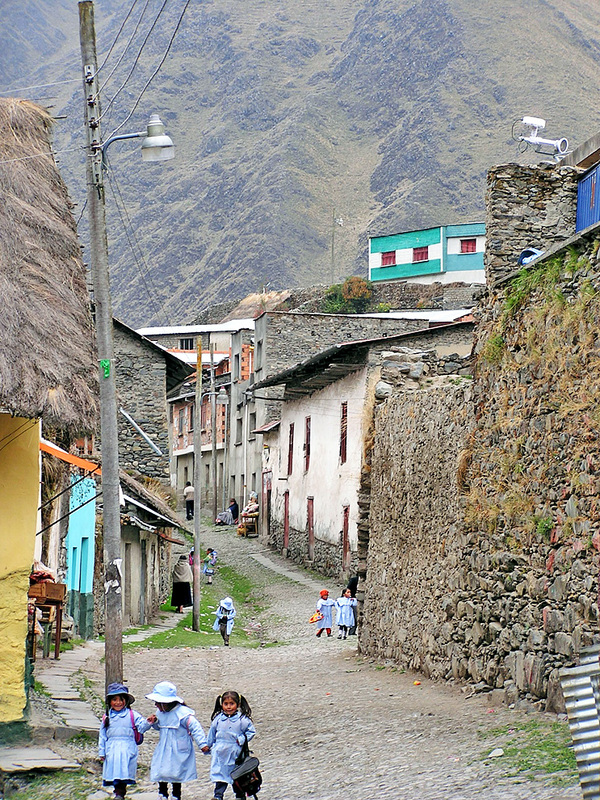 DAY 14: TO PELECHUCO VILLAGE. Trek and lodging. DAY 16: TO ILO ILO:Trek and camp. DAY 17: CUCHILLO:Trek and camp. DAY 18: TO LAGOON VISCACHANI:Trek and camp. DAY 19: TO JATUN PAMPA:Trek and camp. DAY 20: TO CURVA & CHARAZANI VILLAGE:Trek and car transfer to Charazani. Hotel. DAY 23: DEPART LA PAZ. Transfer to the airport. End of our package service. BRING: anorak, sleeping bag, warm gloves, polar jacket, thermal underwear, sun glasses, headtorch, sun block and sun hat.